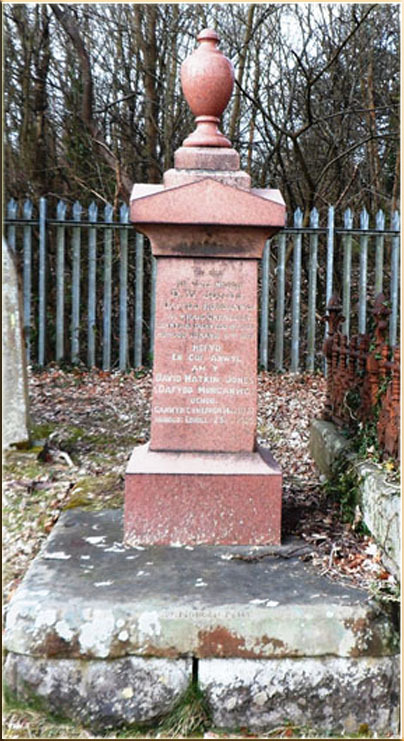 David Watkin Jones was born at Merthyr Tydfil, on 14th February 1832; he was the son of John Jones, a Cardiganshire man. He was at work underground before he was 10, and after declining an offer to be educated for orders in the Church of England, he became, through his own perseverance, an underground fireman by 1859, and in the same year achieved his first Eisteddfodic success. Although he cannot be listed among the main bards – even the bards of his own generation – he did more to produce poetry in others than anyone before him who taught “cynghanedd”. Because he was the author of “Yr Ysgol Farddol” (The Bardic School) the main book of poetic grammar of the eighteenth century. This book first appeared in 1869 and that year’s publication was followed by various others such was the high demand for it. Although it is generally held that “Yr Ysgol Farddol” was defective in some respects, the simplicity and clarity of its teachings is such that it remains popular today. Another book, full of the same simplicity and clarity from the same author is “Ysgol Gymreig” (Welsh School). The bard’s most prominent service is to be seen mainly in these two books. More arduous for him however was his work “Hanes Morgannwg” (History of Glamorgan) which he started after winning an essay competition of the same title in the National Eisteddfod in Aberdare in 1861. “From this time, I worked as hard as I could to collect more of the history and organised it as adroitly as I could before drawing it to the attention of the public.” And with the thoroughness usually associated with the author he travelled the county “in depth, twice, in order to see the objects described”. Dafydd Morgannwg’s main fault, as a historian at least and it proved to be a ruinous fault, was not noting the authorities of the facts he conveyed. Therefore his book is weak as an account of the history of former times. But his history of Glamorgan during the first half of Victoria’s reign – i.e. during the historian’s own lifetime – nothing ever published is better than the book that gave its determined author so much trouble and toil. He won the chief bardic prizes at three great eisteddfods at Machynlleth1870, Llanberis 1878, and Cardiff 1883. He was a most able adjudicator, and adjudicated in the World’s Fair Eisteddfod at Chicago in 1897. I remember well seeing Dafydd Morgannwg in his heyday in Hirwaun attending meetings of every elevating movement but unable to understand that a different opinion to his own was possible in his particular field. I can see him now, in a particular lecture, grabbing his hat and rushing towards the door in a huff because the lecturer – Lleurwg – had said something he couldn’t agree with. But despite his infallibility in all things literary the old poet did much to help young poets and writers in their efforts. As it happened there were four people who loved Welsh literature passionately working at Drift, Kirkhouse and Hirwaun collieries at the same time, namely Dafydd himself, Thomas Drew (Dryw) winner of the englyn in Pontypridd in 1893; Thomas J Evans (later from Treharris and Australia) and David Beynon (later from Cardiff). The four of them held various eisteddfods and very blodeuog they were too. One of the four would judge the literature competitions and another of the four would win. They were highly respected by all for their efforts. Dafydd Morgannwg kept a book shop about the same time in Treharris Street, Roath, Cardiff, in a small room behind the shop the bard had a small printing press for his own use which he used to print many of his own and his friends’ compositions. I the meantime Dafydd Morgannwg competed in many of Wales and America’s main eisteddfodau and he was also the editor of a poetry column in “Y Darian” (The Shield) which, under his care, became one of the most famous in the Principality. But around 1890 the four literary workers went their different ways; T. J. Evans became the chief inspector of new pits in Treharris and took Dryw with him. Circumstances took the other two to Cardiff, where they stayed for a long time in the service of the Welsh people in that famous town. During this time Dafydd Morgannwg undertook the work of editing the Welsh Column of the “South Wales Weekly News” and that column flourished under his leadership as “Y Darian” had done. During this time the bard was often called upon to judge the “awdl” (long poem in cynghanedd) competition at the National Eisteddfods, although he never won it himself. He was also the main judge at the World Fair Eisteddfod in Chicago in 1893 when Dyfed won the competition for his poem “Iesu o Nazareth” (Jesus of Nazareth). The last time Dafydd Morgannwg held this post was at Merthyr Tydfil in 1901, and the honour of judging in his birthplace meant more to him than any other during his lifetime. This striking medal from the first National Eisteddfod in Aberdare in 1861. It belonged to the famous Dafydd Morgannwg, David Jones, who won this medal for an essay on the history of Glamorganshire. It was published and is still a very important book today. Incidentally, the Prince of Wales feathers on this fine medal tell us a great deal about the way the Welsh longed for the royal family’s seal of approval on their activities. 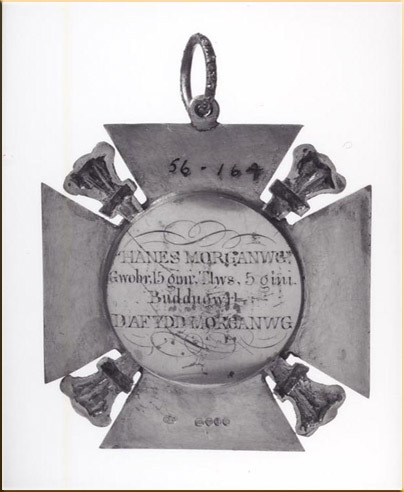 Above is the silver and enamel medal won by David Watkin Jones at the National Eisteddfod, Aberdare in 1861. 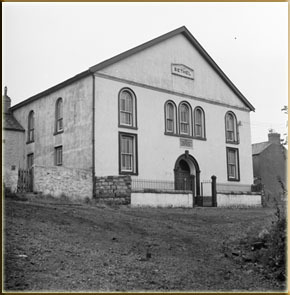 In 1877 David Watkin Jones was Deacon of Bethel Chapel Hirwaun. A large number of friends gathered at the residence if deceased at Llantwit Street, Cardiff, shortly after noon, where a service was conducted by the Rev W. Davies B.A., pastor of the Crwys road C>M. Church, of which Dafydd Morgannwg was member. 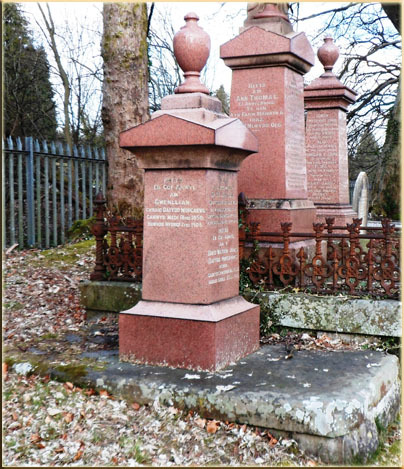 The mourners were Mr John Jones, Merthyr and Mr Trevor Jones, Birmingham (sons), Mrs Bowling, London (daughter), and Mr G.G. Jones, Aberdare. Among those in the procession to the T.V.R. Station were Sir Alfred Thomas, M.P. his Honour Judge Gwilym Williams, Dr Evan Davies the Revs E. Rees (Dyfed), J Morgan Jones, H.M. Hughes, B.A., Thomas Hughes, Thomas Davies, J. Morris and Walter Daniel, Alderman Mildon, Messrs J. Lloyd (Barry), Alexander Mathews, and J. I. Jacob (Silurian). 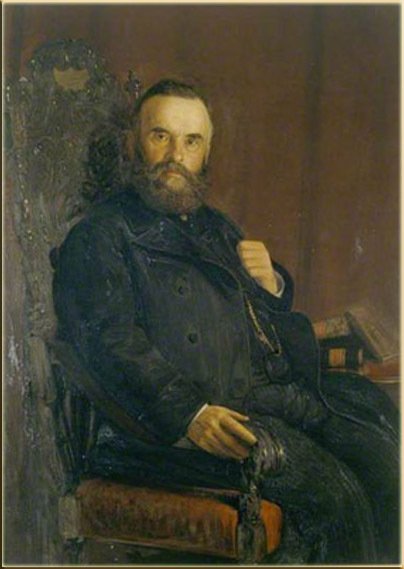 The Cardiff Free Library was represented by the Rev W.E. Winks and Mr John Ballinger, the Cardiff Cymmrodorion by Alderman Edward Thomas, J.P. and Mr J. Rowlands (secretary), and Cymry Cymreig Caerdydd by Mr Ilano Jones, and the University College by Mr Austin Jenkins, B.A., registrar. The body was conveyed by train to Aberdare Station, where a number of friends and admirers joined the cortege, which proceeded to the Aberdare Cemetery, the arrangements being in the hands of Mr F.D.E. George. The funeral, which will be a public one, will take place on Saturday. The cortege will leave the Aberdare Taff Station as 2.30 p.m. for the Aberdare Cemetery. The following were present among others:- Revs W. James, Bethania, R.E. Williams (Twrfab), J.M. Jones, M.A., J. Richards, Bethel, J. Morgan, Bryn Seion, T Manuel, H.T. Stephens, W.S. Davies, W. Powell, and W.J. Williams, Hirwaun, Messrs T. Glyndwr Richards, T. Stephens, T. Price, Merthyr, and D. Jones Hirwaun. The following bards were present:- Crymlin, Glan Dulais, Myfyr Hefin, Brynfabm Myfyr Cynffig, Carnelian, Dewi Fychan, Gwynwawr, Ab Hevin Pelidros, Cynog Merthyrfabm Gwyrosydd, Derwydd, Alaw Sylen, Michael Thomas, Jeremiah (Merthyr), and Tel (Cwmaman). The bearers were Messrs J.L. Thomas, T.G. Davies, J. Mills, Brynfab and Crymlin. Wreaths had been sent by Judge Gwilym Williams. Mr W.E. Thomas, agent of the Transatlantic Company, “Gladys, in memory of granpa,” and another by the family. The service at the graveside was conducted by Dyfed, who dwells on the upright character of the deceased. On the surface Dafydd Morgannwg was somewhat austere and stern, but underneath the austerity there was a sub-stratum of tenderness. The Rev W, Davies, deceased’s pastor observed that even to his death almost the deceased adhered to his post as Sunday School Teacher. His pupils were all present by their beloved teacher but a few weeks ago. The Rev W.J. Williams, Hirwaun, gave a few reminiscences of the bard’s life in Hirwaun. The Rev R.E. Williams (Twrfab) offered a fervid prayer, after which the favourite Welsh dirge “Bydd myrdd o ryfeddodau” was sung.